Vehicle magnetics, specifically, still have the opportunity to grab a person's attention. 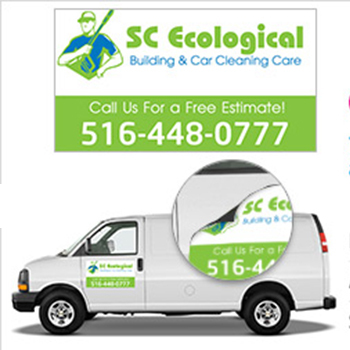 Our car magnetic signs, being the best in Long Island are always an affordable and smart way to promote your company. We offer our customers with top quality 3x10" bumper magnetic signs for public safety authority that can transform your cars to company cars also by adding our attractive car magnet signs. 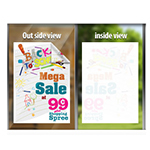 Try our full color paper poster printing to place advertisments outside of your storefront or for your indoor offices. The car magnets are attached to the cars with your company message and all other necessary information. After applying your vehicle magnet, it would be better if we called your car a moving billboard that grabs a large number of customers. Magnetic auto signs can create thousands of daily mental images at a small cost and vehicle signs are an ideal method for providing name recognition. All of our magnet signs are produced by using high quality material and these magnet signs contain extra durability to last a long time. You can also use our best food cart vehicle wrap printing signs for your gyro carts. 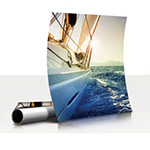 Check out the self adhesive vinyl printing to have a vibrant display of new products or sales! Our customer consider us the number one in the New York for producing such vibrant long lasting car magnet signs. Turn your car, truck, van into an advertising machine with custom graphics from Printing Xpert by ordering our 18x24" contractor truck magnets. Car Safe 30mil is standard material used for car magnets. This magnetic sheet is great for a variety of applications. 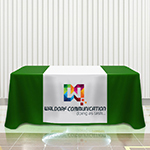 Full color printing at no extra charge. The Car magnet will be with flat corners. A car door magnet is the smart way to get noticed and to promote your business in easy and inexpensive way. There is no better way to get noticed by people than with a magnet for your car. 1.Try to keep your message simple and short, along with contact info, website name, and popular products or services. 2.Full color graphics attract the most customers; design your magnet signs with sharp color combinations. The vivid colors draw attention to your sign and two-color car magnets will not receive more. 3.Always remember that high quality images matters. If you don't have high resolution photo, logo or image the file can be distorted and fuzzy when enlarged. So make sure to provide quality image. Otherwise the magnet sign will not look good when printed. 4.Keep in mind to provide with correct size. There are standard sizes on printingxpert website but if you have your own choice make sure you measure the perfect size. These days, car magnet signs are considered one of the most successful way of advertising your businesses. The vehicle magnets signs are an effective tool to advertise your businesses on large scale. It is very essential for all type of businesses that automobile sign should contain your company message very clearly, because sometime the audience has a very short time to view your message; if magnet signs are enclosed with a proper meaningful note, the viewer would be able to process your message and be impacted by it. Our designed magnet signs are easy to read so all can interpret your company information, while attracting customers with its creative look. Our expert team also designs full color 4x6" post card printing at a very low cost. We guarantee that car magnet signs will be the most effective and affordable means of advertising at a very affordable price. Magnetic vehicle signs are the most cost effective method of temporarily branding a vehicle. 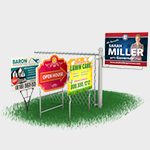 They are ideal where signs need to be added and removed on numerous occasions. Car magnets can be transformed in seconds from a moving advertisement to a private sign-free transport and back again - day in, day out. All magnetic vehicle signs are produced using the highest quality magnetic sheeting and printed using a full color digital machine, over laminated for extra protection. We have been producing magnetic signs in the USA for many years. We can make magnetic signs in many different sizes. Magnetic signs are very versatile. All magnetic signage supplied by us are safe to use on motorways when mounted in the correct way. Our 100% vehicle grade magnetic signs are highly durable and are a cost-effective way to promote name recognition within your business area. When you leave the office, do not leave your marketing efforts at the door. The custom option and the info is helpul to understand about the product. This is great company! it is easy to order from here. The quality of magnets are great they look long-lasting. Promote yourself and your services everywhere you go with attractive car magnets. A car magnet is an effortless way to increase your sales volume. We will make your advertising car magnets meaningful and remembering to ensure positive and long lasting affect. This durable, high-strength magnet it's a great way to put that signature touch on any type of vehicle. We offer full color printing on car magnet sign. 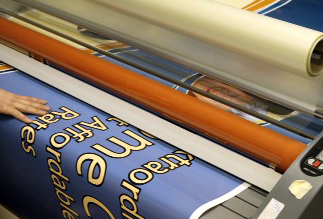 Over lamination of vinyl is important because it greatly improves the car magnet ’s lifespan and quality. Laminating car magnet helps with durability, protecting against UV rays, scratches, and fading. Laminating also makes the material thicker by a few millimeters, and prevents against tears while the magnet is being stretched over awkwardly shaped parts of the vehicle. We use 30 mil magnets specially magnetized for outdoor advertising. No dead spots, long lasting. Rounded corners to prevent fly-aways. We also offer custom shape finishing, reflective magnets, blank magnets and dry erase magnets. Reflective options make your car magnets stands out event at dark night. Full magnetic backing mounts easily on any steel surface, such as filing cabinets, cars and other machinery.